Tom Wilson won’t be seeing much action during the first month of the regular season. The Capitals winger has been suspended 20 games for his brutal hit on Blues center Oskar Sundqvist in Sunday’s preseason game, the league announced Wednesday. Wilson had been offered an in-person hearing for the illegal check, which typically happens when a player faces a potential ban of six contests or more. The incident occurred in the second period when Wilson leveled Sundqvist in the head as he was cutting across the ice. Sundqvist left the game bloodied and did not return, while Wilson was ejected after being assessed a 10-minute penalty. 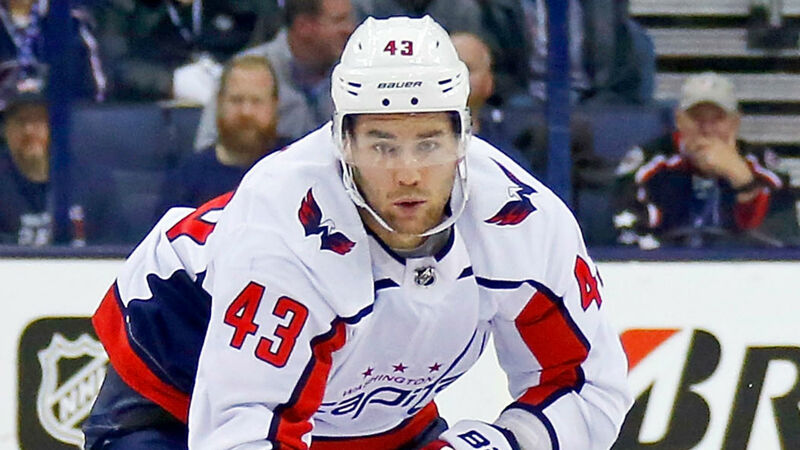 Wilson, 24, signed a six-year contract worth $31 million in July after logging a career-high 14 goals and 21 assists in 78 games last season. He later added five goals and 10 assists in 21 playoff matchups as Washington won its first championship. The Capitals will have their Stanley Cup banner ceremony before hosting the Bruins in the season opener at 7:30 p.m. ET Wednesday.